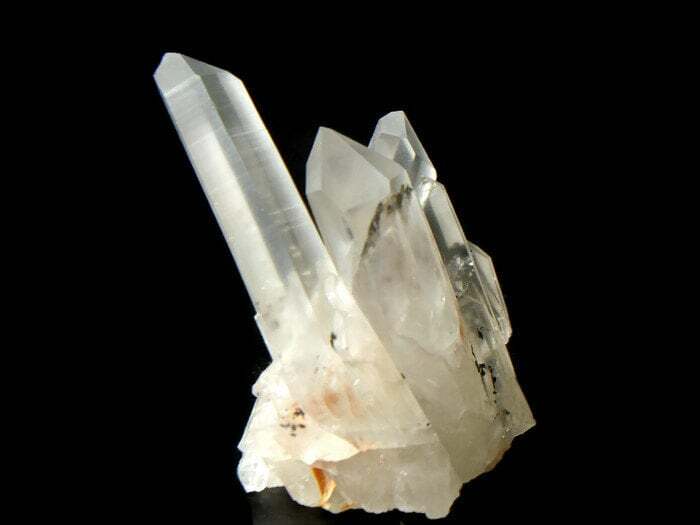 This cluster has a luminous look with the iridescent covering that can occur with Lemurian crystals. 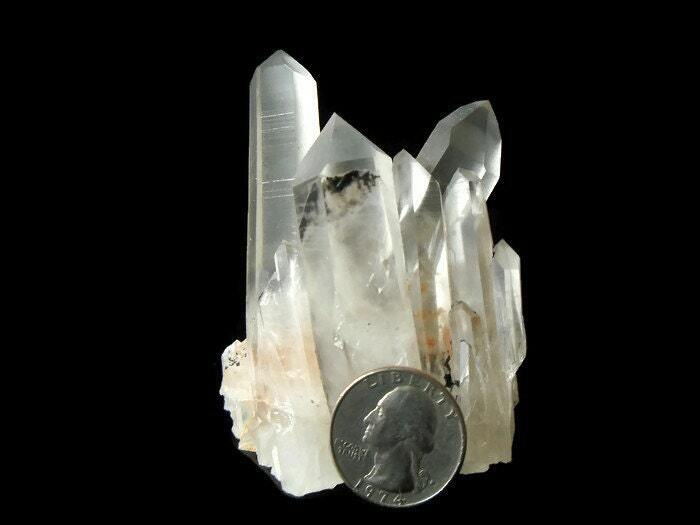 The typical Lemurian horizontal striations are quite apparent on this cluster. 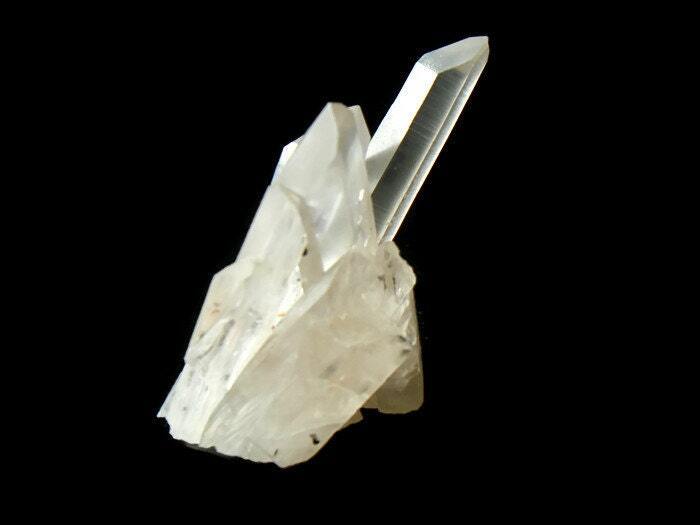 The tallest point is a 7 faced crystal while the two shorter crystals are more masculine in form. 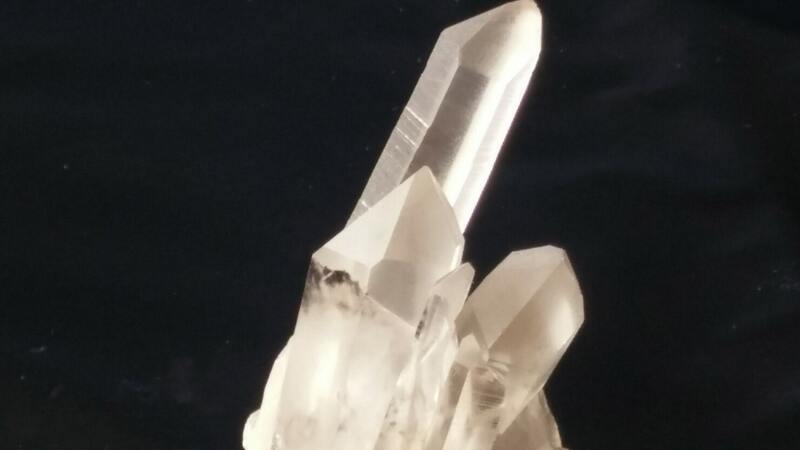 The 7 faced crystal is more receptive and connects with calming vibrations while the more Yang ones direct the vibration back into the room. Along with the formations, this has hematite and carbon inclusions and some red deep in the base. This cluster has the power and receptivity to be a wonderful addition to any room as it helps to bring its surroundings into balance. We accept all forms of payments accepted through Etsy. If you prefer to pay by check, arrangements can be made and we can send your item after the check has cleared. Illinois Residence are required to pay sales tax at checkout. We ship within three business days ground USPS and are currently offering $4.50 shipping with only $1 shipping per additional item. If your order was damaged during delivery, please contact me within 3 days of the receiving of your order. If there is a problem with your order, please contact me, BEFORE leaving negative shop review. Once a negative review is left, the case would be considered closed and no further action will be taken. 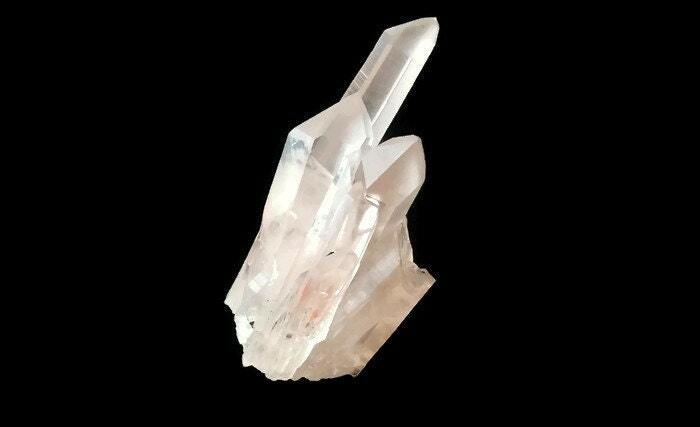 The crystals are extremely fragile and delicate. Great attention when packing and shipping are required. I do not accept their return precisely from these considerations against product damage. So I do not provide refund against their return. In case of a refund, due to a faulty/damaged product, I will refund you the price of the purchased product, or provide a replacement (at your choice). The shipping fee is non-refundable. In order to issue refund, or provide a replacement for a faulty/damaged product, I will request a picture of the product.